An old man looking at selling real estate had asked me a question today “What is your New Year’s Resolution going to be”? And my reply was “4K Ultra HD”. The gentleman looked at me in a confused manner, and had asked me what I meant. And I explained it’s all about having a crystal clear vision for 2019, and that the 4K Ultra HD was just an analogy. And having that clear vision for the New Year is something that customers of Hill & Viteri Property possess when working with us. Whether you are an investor or property owner looking to get ahead in 2019, then Hill & Viteri are your port of call. Give us a call on (02) 9545-2220 or fill out our contact form here, and our team will get back to you at a better time. If you are looking to sell your home in 2019, and trying to find an agency that strives to get you the best results? Then look no further. Our agency specialises in the local real estate market in Sutherland Shire. And with decades of combined experience in selling property here, we understand how to leverage off controllable variables to achieve you the best outcome for the sale of your home. Hear what our customers have to say about us here, and you will see why Hill & Viteri Property are your choice Sutherland Shire Real Estate Agents. Property Management has its own set of rules when it comes to real estate, and takes a different level of expertise. Whilst some of the adding value to your home components remain relatively the same. Property Managers deal with a different set of laws and regulations. And understanding these laws is key to becoming a successful property investor. And we believe in educating our clients not only on the laws around leasing out real estate, but how to add more value and get a higher rental yield for their investment properties too. If you didn’t freshen up the home over Christmas, the start of the New Year is always good time to get your home looking fresh and ready to present, before going back to work. Start taking advantage of the hot weather this summer and begin airing out the home and cleaning any mouldy areas if you got some damp areas around the home. You can never go wrong with getting the place painted. An affordable upgrade that doesn’t break the bank if you decide to do it yourself. After a fresh paint, treat yourself to a new pillow and sheet set that matches your newly set colour theme. A good declutter and rearranging of your furniture always helps to clear the mind and start planning those New Year goals for 2019. And whatever your goals are in real estate for 2019, we want to be by your side and help you to achieve them. 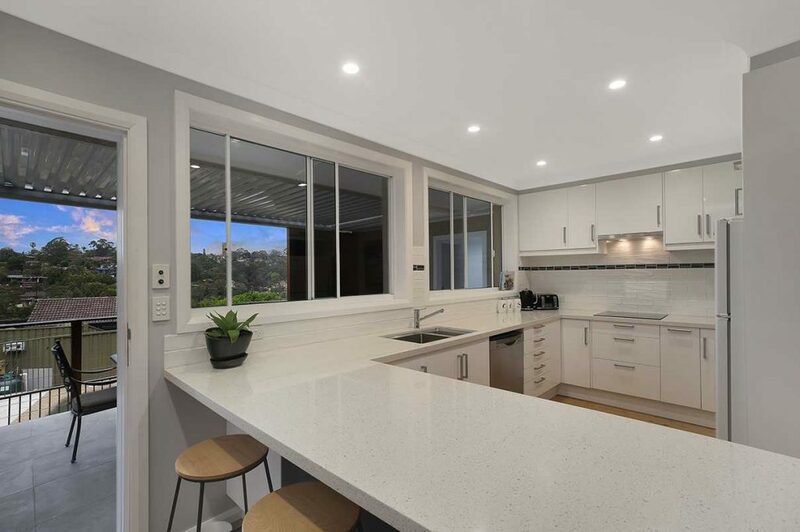 Let us show you a real estate experience like none other before and help you paint a crystal clear vision to succeed in the Sutherland Shire Property Market for 2019. Fill our our contact form here or you can give us a call on (02) 9545-2220. Our team is always willing to help, regardless of your circumstances. Find out why our motto is “Helping People Through Real Estate”.